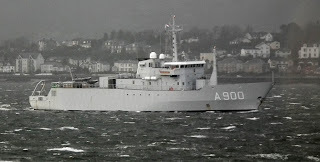 Royal Netherlands Navy's Submarine Support Ship Mercuur (A900) in heavy weather on the Clyde 21 January 2012. 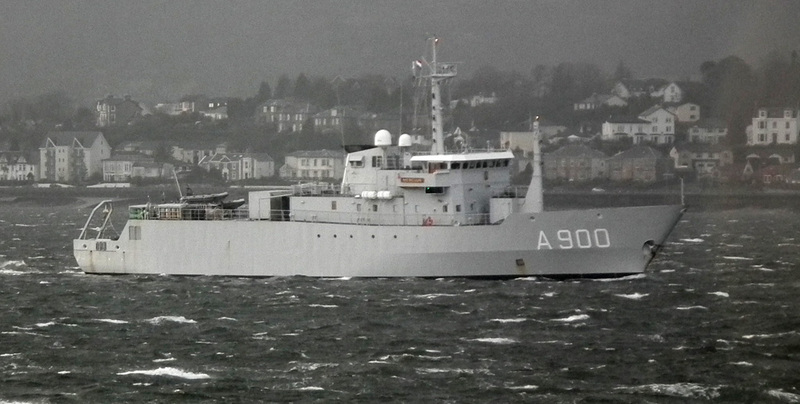 AN inbound submarine was spotted soon after but the weather precluded any identification! 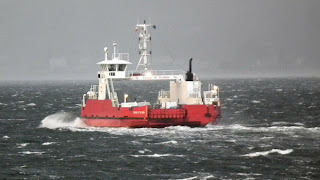 Western Ferries' Sound of Scarba on service in the Westerly Gales 21 January 2012.